Actions return to the domestic scene as the Nigeria Professional Football League enters Matchday 20 with thrilling fixtures across match centres. Football lovers will be spoilt for choice by way of picking a particular game to track; from Umahia to Nnewi down to Maiduguri it will be a cracker to say the least. After abandoning their league opener against Kano Pillars in the Pyramid City due to some officiating dispute, FC Ifeanyi Uba lost all three points to their host thus beginning the season on a sad note. But the Nnewi side has found their rhythm and is presently on the top half of the log. They have a chance to pick maximum points in the reverse fixtures, thereby giving their title contention some serious thought. The Pride of Rivers makes a long trip up north to trade tackles with Ladan Bosso’s El-Kanemi Warriors. Rivers were 2-1 winners when the same fixtures held in Port Harcourt on Matchday 1. Buoyed by their impressive performance and standing on the log, the Warriors will likely maintain their character of avoiding defeat on home soil. Rivers United have not been impressive either at home or on the road and their lack of productivity in front of goal might hunt them against El-Kanemi. The big fixture for the day is no doubt the Oriental Derby in Umahia. This is growing to become an intense and unpredictable fixture in the NPFL. The last time Rangers were in Umahia, under then tutelage of Imama Amapakabo, the Coal City side left with a point in the bag. However, Abia Warriors are having the best laugh until Matchday 21 is concluded; they faced Rangers in the league’s opener and snatched the maximum points in front of Enugu fans. That was the least one expected from the NPFL champions and they have recently been on a slow rise after some poor performances have derailed any concrete chances of defending the NPFL title. 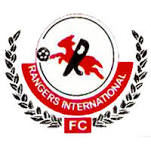 Rangers lost 1-2 to Abia Warrios, but the man who led the Umahia side to that feat is no more in the dugout, but gaffer Abdulahi Biffo, the man in charge of Warriors has no doubt Rangers are on a mission to put up revenge or so. The both sides were busy during the transfer season and that led to them landing some key figures who have been vital, especially for Rnagers who have enjoyed the services of former Enyimba forward, Ifeanyi George and the young lad from FC Inter, Ebuka who got their late winner against Gombe United. 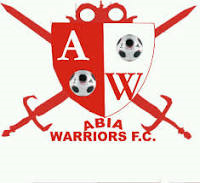 Meanwhile, Abia Warriors will count on the form of their front man, Sunday Adetunji and versatile player Ndifreke Effiong.